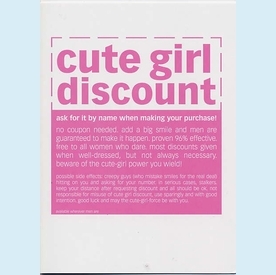 Funny coupon style card features descripton for a "cute girl discount" and explanation why this is universally accepted (where men are, that is). 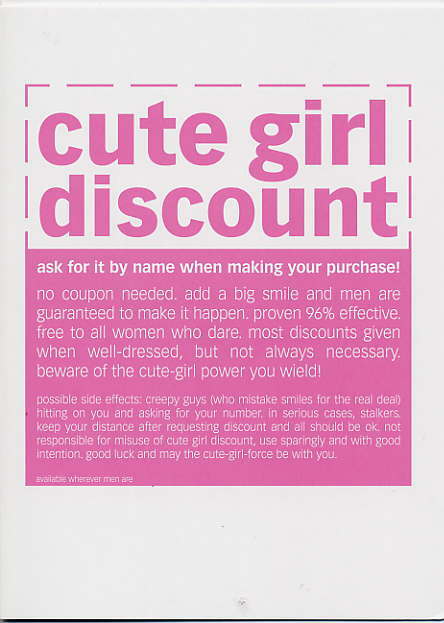 Inside greeting: "Expires never! / Flaunt your cute-girlness forever / Happy Birthday". By Richie Designs for Madison Park.